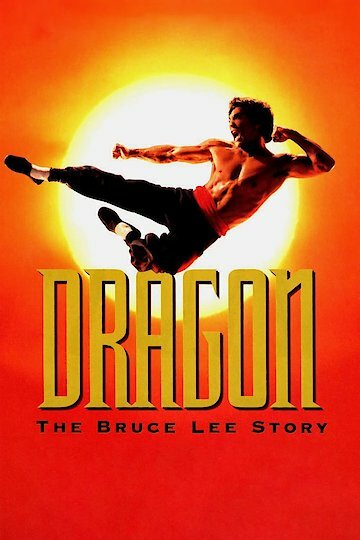 Dragon the Bruce Lee Story is an American biographical film which has plenty of drama from the onset. The film is directed by Rob Cohen. The film stars Jason Scott Lee, Laurel Holly and actor Robert Wagner. Dragon was initially released in mid May 1993. This film opens with a nightmare of Bruce Lee’s father. The nightmare seems to have impacted Lee’s decision to become a professional martial arts instructor. As the film progresses Bruce Lee is shown receiving Chinese martial arts instruction from a young age. Bruce Lee goes to the United States and finds work as a dishwasher shortly after his arrival. However, after an altercation inside the restaurant Lee is fired by the restaurant owner. The restaurant owner does wish Lee well after his termination. In addition, the owner gives Lee some money to invest for his future ambitions. Lee continues to take martial art instruction. While taking college courses Lee meets his wife Linda Emery which is played by Lauren Holly. The couple goes on to have two children. Lee is able to fulfill one dream by opening up a martial arts school. Dragon: The Bruce Lee Story is currently available to watch and stream, download, buy on demand at Amazon Prime, Amazon, Vudu, Google Play, FandangoNow, iTunes, YouTube VOD online.